23 LISTS Life in Outer SpaceLists about astronauts, space exploration, and what we've learned about the effects of space travel on the human body. NASA What's It Really Like Living On An Astronaut's Diet? Everything about traveling through space sounds spectacular. From the views to the experience of zero gravy, it seems like it would be an absolute dream. The one thing that sounds like a drag is how NASA feed astronauts in space. International Space Station food is mostly stuff that won’t go bad. It’s essentially made up of freeze-dried items that will keep astronauts healthy and help them hit their 2,500 daily calorie limit. That may sound like a lot of calories but when you’re eating zero gravity foods, it’s pretty easy to lose your appetite. So what do astronauts actually eat? Meals in outer space are mostly composed of freeze-dried space food like spinach, tortillas (lots of tortillas), and trail mix, but in the nearly 60 years that humans have been going to space there have been a few astronaut food recipes that have been created on those long nights aboard the ISS. Astronaut food vs. real food definitely leaves something to be desired, but it’s improving every day. Researchers know that if astronauts had to eat applesauce and tortillas for the entirety of a five year mission to Mars they would jettison their bodies into the vacuum of space, so they’re working on meals that taste good and hold their nutritional value for long periods of time. Some scientists are even working on taking the bodily waste of astronauts and turning that into a meal. Your stomach’s probably growling already. A shrimp cocktail may not sound like the ideal meal to anyone on Earth. Sure, it's a nice appetizer, but having a shrimp cocktail in space? No thanks. That's what you would think, down on Earth with all your gravity and bread. But up in space, astronauts are mostly stuck eating bland food that's been re-hydrated... and they lose their sense of smell, which means they crave strong flavors to make up for it. While many space foods — like spinach, crackers, and trail mix — are good for astronauts, they lack flavor. Vickie Kloeris, a preference lab manager, believes that the astronauts appreciate the dash of horse radish that's in the cocktail. If astronauts love spice, has anyone thought to send them up with extra packets of Taco Bell fire sauce? That'd be some stellar marketing. At the moment astronauts have the option of enjoying 200 "core space foods" on their menu. Depending on how far they're going and how long they'll be in space greatly alters that menu, but it's still a far cry from what the O.G. astronauts had to eat. The 200 items include favorites like shrimp cocktail and thermostabilized mocha yogurt, and they're also sent with enough flour tortillas to stock a college dorm room. In comparison, astronauts aboard the Gemini in the 1960s were stuck eating a few dehydrated meals that could safely be eaten from a pouch. The pouch contained all of the main components of the food and had a water valve on one end. Come dinner time, the astronauts would hook the valve up to a "water gun" and rehydrate the food. Unfortunately for any foodie astronaut, if you make it to space you probably won't be able to enjoy your favorite meals while aboard the ISS or while you're in transit to Mars. If you wake up in the middle of the night with a hankering for a snack you'll have to eat an M.R.E. instead of a dagwood sandwich, unless you want to make your sandwich with a tortilla. Because bread is so crumbly it can't safely be taken into space.The crumbs can get into control panels or they might even be inhaled by a sleeping astronaut causing them to choke — and nobody wants that. 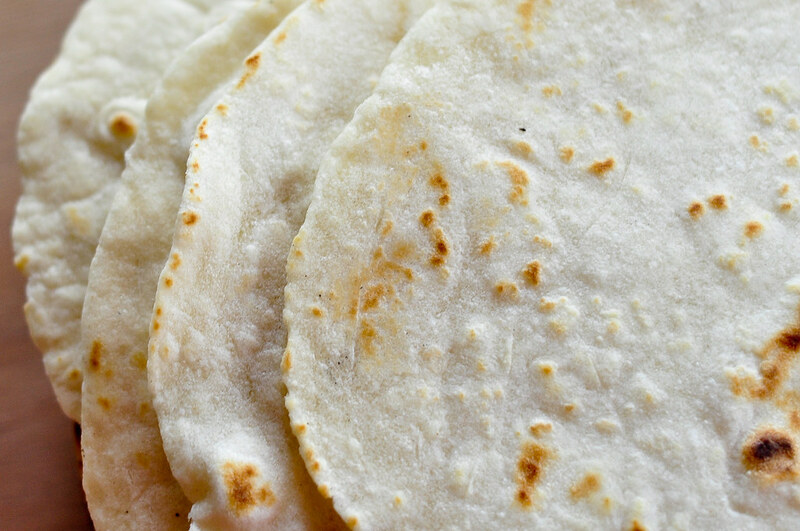 According to NASA, the tortillas they send along with astronauts are specially designed not to crumble and they can be used for anything from sandwiches to quesadillas.